position opens after three conditions met.Stochastics,ADX and ATR are the indicators used. there is an 8 orders grid system if the first position doesn't hit tp. 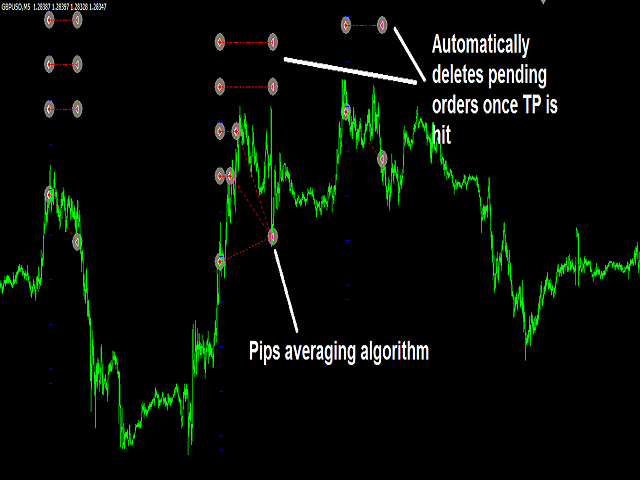 pips averaging algorithm when the grid is activated. pending orders are deleted when the tp is hit and expert starts from the beginning.